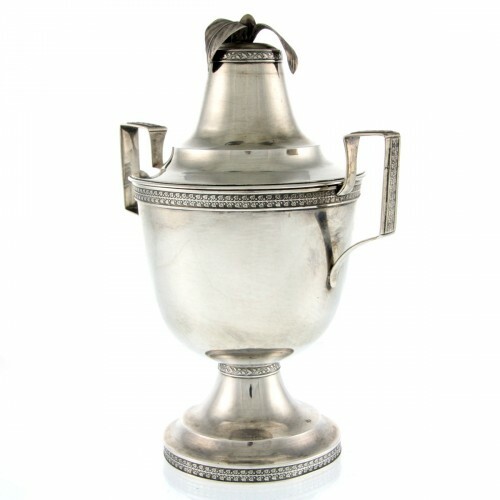 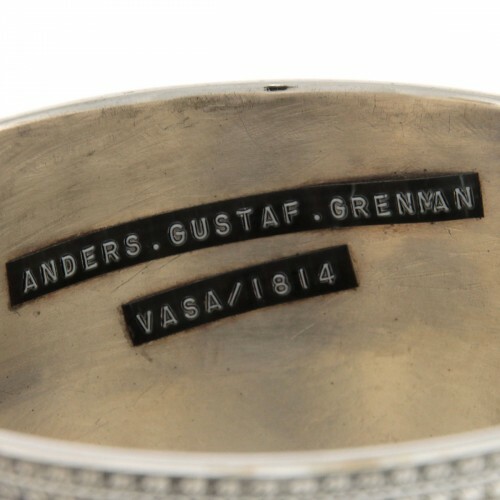 Pasarel - Silver Trophy Cup and Cover, Anders Gustaf Grenman, Vaasa, Finland, Circa 1814. 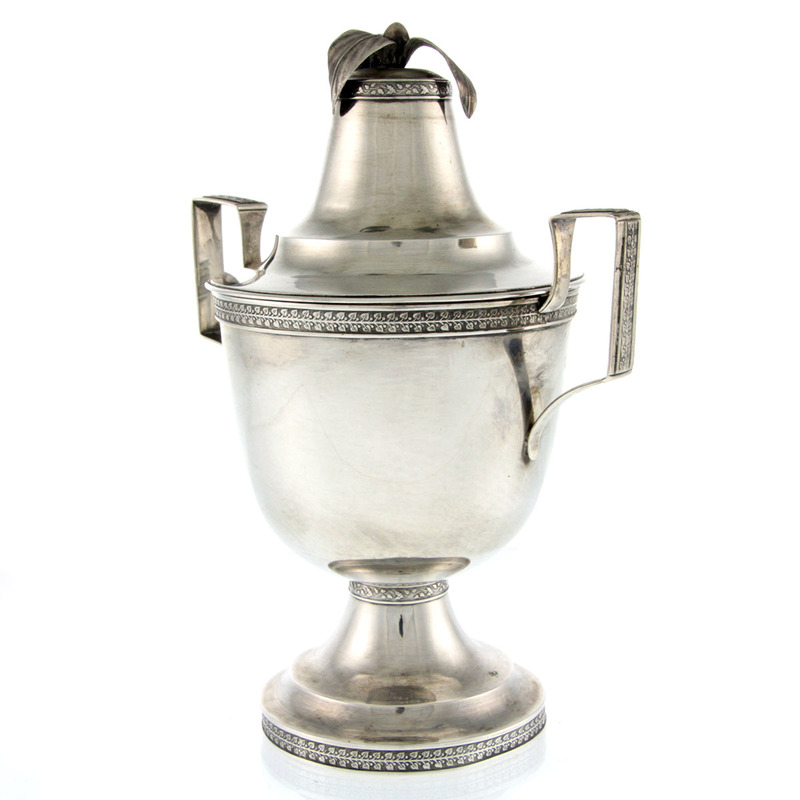 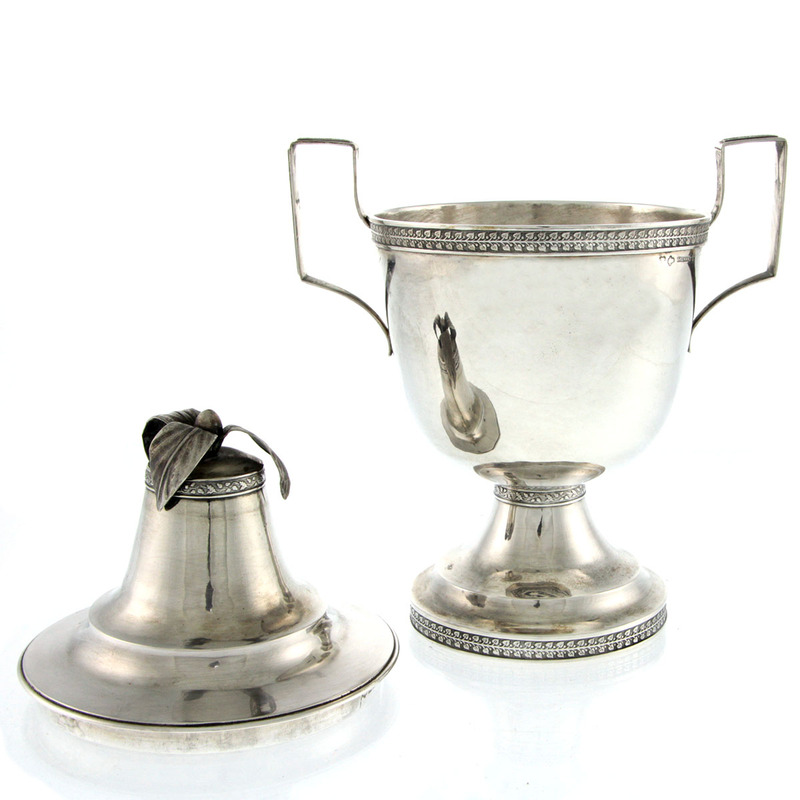 Silver Trophy Cup and Cover, Anders Gustaf Grenman, Vaasa, Finland, Circa 1814. 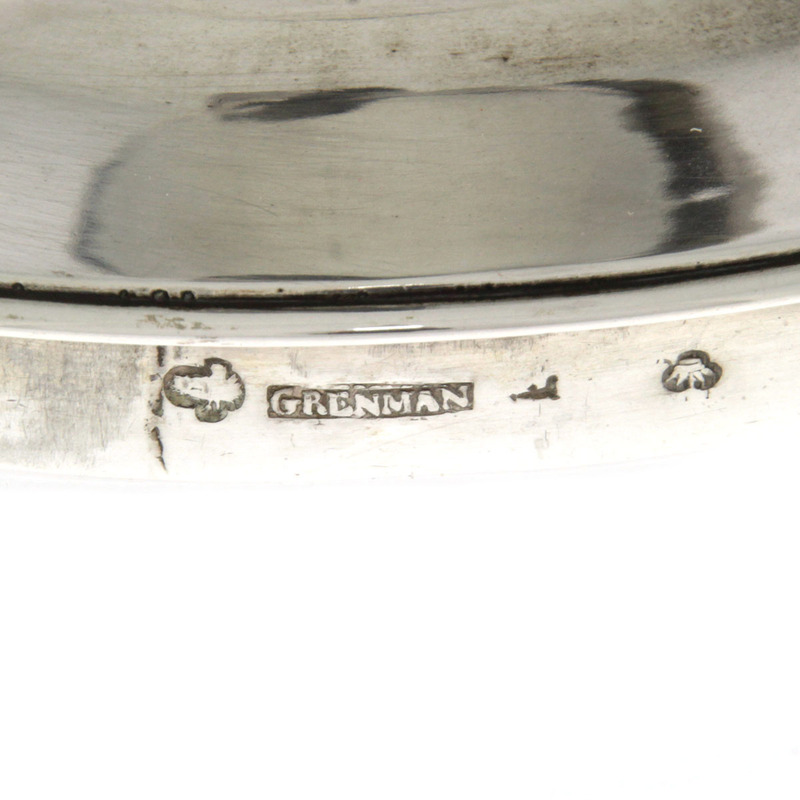 The base, cover and handles are decorated with foliate bands. 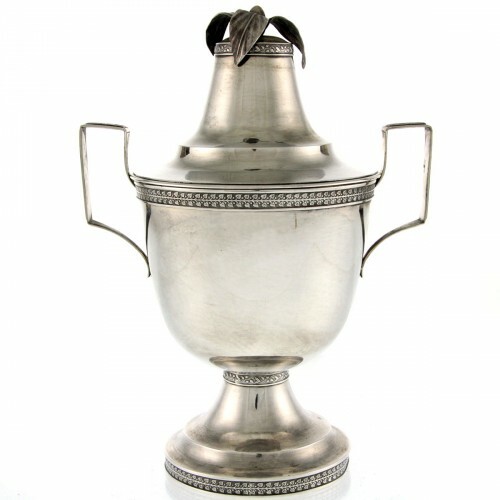 Detachable cover topped with three leaves finial. Two stylized handles – the lower part of each handle is monogrammed. 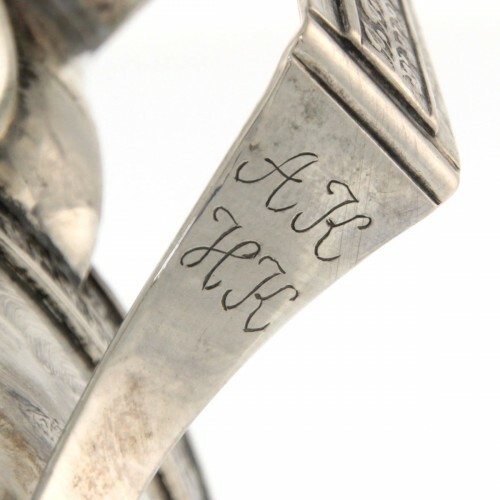 Marked (both cup and cover) with Finnish silver marks, maker’s mark for Anders Gustaf Grenman.